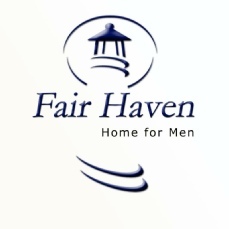 Fair Haven is a ministry of Life Baptist Church in St. Stephen, SC. For the past 20 years, we have helped men and women with social and spiritual help. Our pastor, Bro. Alfred Willis, has always wanted to do this in a greater way. When most hear the name “rescue mission”, they think of a place of social help. Our mission is a restitution center to provide social, and more importantly, spiritual help to those that are at rock bottom in their lives. We want to be the helping hand that gets them to the Hand of God. Why Men, because they are the head of the home and when the head is not straight the home will not be straight. Rescue the man, rescue the home. Our message is the Message of the Cross that can transform a person’s life from despair to dignity. We use only the KJV in all of our messages and programs. We know that this message changed our hearts and it will change the hearts of the most destitute. We have a one step Method to help people, draw nigh to God and He will draw nigh to you. For many years I have heard pastors say that if they could get a person in consecutive services they would get the help they need. 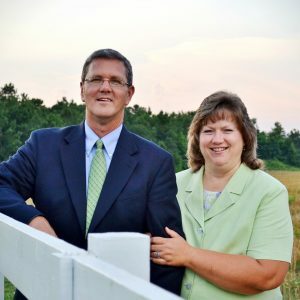 Our Method is daily Bible preaching and teaching. 60 day program – 1 hour Devotion Morning and Evening and 3 hours of Evening Bible Study. 8am to 4pm Work Program at Mission. Work Program – 1 hour Devotion Morning or Evening and Working a Job, but staying at Mission. We want those who come to be saved and serve our Lord and Saviour in a local Independent Baptist Church in their home town. We want to help them get a GED or some kind of technical training so they can be productive citizens. We want to see homes restored and these families used to be a blessing to the Local Church. Directions to our Mission from Charleston, SC Drive North on Hwy. 52 through Moncks Corner to St. Stephen, South Carolina. In St. Stephen turn Right at Kangaroo Gas Station over the train tracks, go to stop sign and turn right. Mission will be one mile on left. Directions to our Mission from Florence, SC, Drive South on Hwy. 52 through Kingstree to Saint Stephen, SC. In St. Stephen turn Left at Kangaroo Gas Station over the train tracks, go to stop sign and turn right. Mission will be one mile on left. Here is the contact information for Fair Haven.